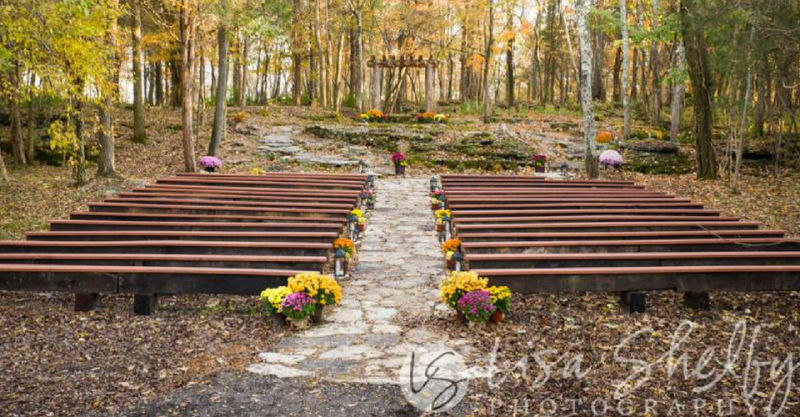 The Wedding Woods is located on the grounds of Circle S Farms in the Laguardo area of Wilson County, Tennessee. We can accommodate groups of up to 300. In addition to our unique outdoor wedding venue, we have a pavilion and a large reception hall with sliding doors for an enclosed or open-air gathering available for your reception. Possibilities for your special day are limited only by your imagination. Please contact us for more information. You may also visit our listing on Perfect Wedding Guide, and be sure to visit us on Facebook.